Product prices and availability are accurate as of 2019-04-14 06:00:08 UTC and are subject to change. Any price and availability information displayed on http://www.amazon.com/ at the time of purchase will apply to the purchase of this product. 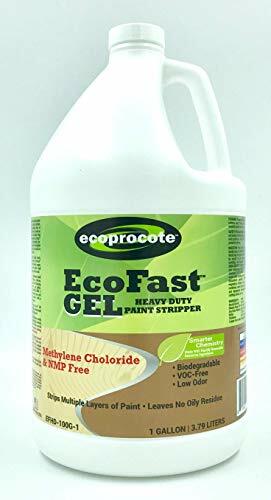 EcoFast Gel Paint Remover is a non toxic paint stripper that is free of hazardous toxins such as methylene chloride and NMP. This advanced chemistry is ideal for graffiti removal, paint stripping on wood, paint stripping on concrete, and paint stripping on brick and block walls. 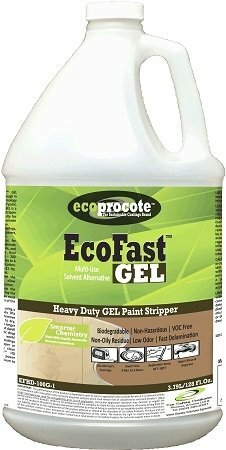 The gel paint remover will cling to vertical surfaces and is ideal for encapsulating lead paint and latex paint for easier removal. The slow evaporative properties allow you to let the solution dwell for up to 24 hours to let the stripper do more of the work. Our proprietary bio-based emulsion chemistry is formulated as a neutral pH so you never have to neutralize and it will not impact future coatings or finishes. It also rinses freely with water so it won't leave difficult and problematic oily residues like many competitive products. Heavy Duty Eco-Friendly Non Toxic Paint Stripper. Hybrid Bio-Based & Non Hazardous Organic Solvents. Gel Viscosity for Vertical Cling & Longer Dwell Times. 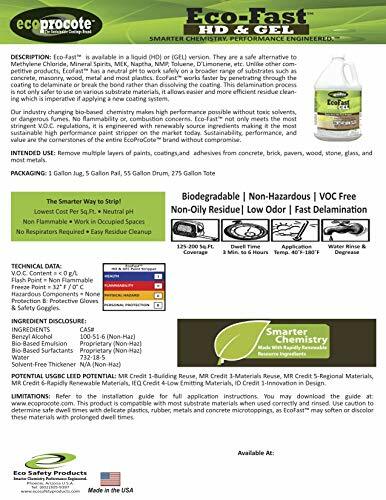 Replaces Methylene Chloride, Mineral Spirits, & Citrus "D'Limonene" Paint Strippers A Neutral pH Paint Stripper, Easy Rinse, & Safer Use on Substrate Materials.